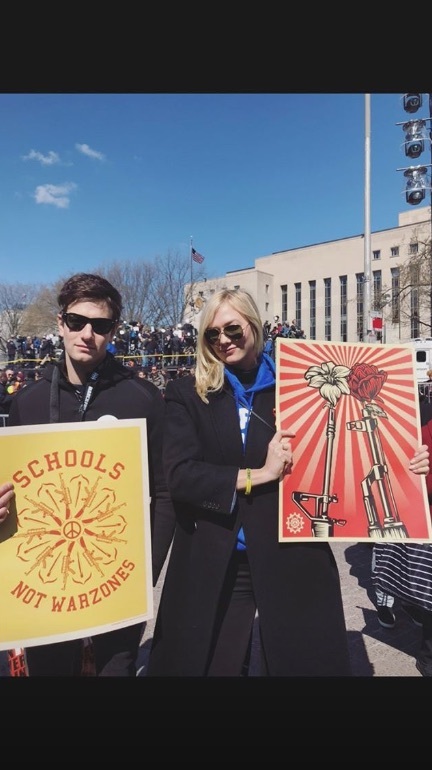 Jared Kushner’s brother, Joshua Kushner, made headlines when he attended the March For Our Lives protest in Washington, D.C. on Saturday, March 24th with his girlfriend Karlie Kloss. Many who feel that President Donald Trump hasn’t done nearly enough for gun control reform wouldn’t expect to see anyone close to the Trump family involved in the March For Our Lives, making Kushner’s appearance newsworthy. However, those who have followed Kushner’s moves lately probably weren’t too shocked to see him at the March For Our Lives. A few weeks ago, Kushner quietly donated $50,000 to the March For Our Lives. He didn’t keep his presence in D.C. very quiet, too. Right before the protests began, he posted a photo on Instagram making it pretty clear that he would be there. On top of that, Kushner was spotted at the 2017 Women’s March in D.C., although he claims he was only there to “observe.” He was also there with Kloss. And it seems like Kushner was doing more than just observing yesterday. He posted an Instagram photo of Kloss holding a protest sign with the hashtag #marchforourlives. He also shared a picture of them holding protest signs together on his Instagram Story. 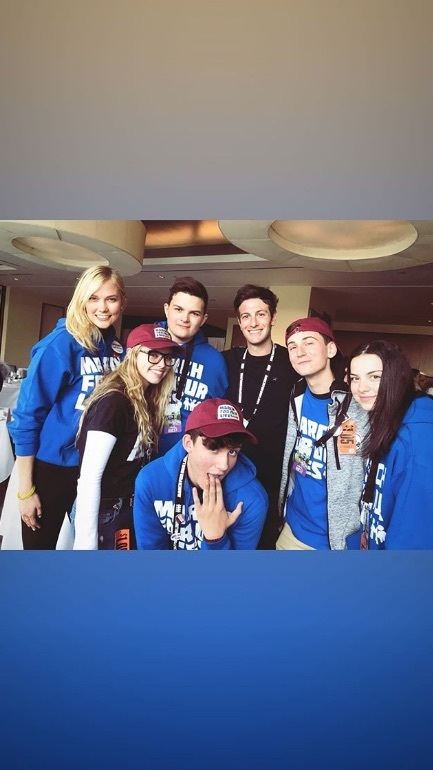 And another of them posing with Parkland students. Not too much is known about Ivanka Trump’s brother-in-law. But we do know that Kushner is a venture capitalist and entrepreneur who founded Thrive Capital, a venture capital firm, Oscar, a health insurance company, and Cadre, a real estate investment platform. He’s been dating Kloss for over five years now. And she seems pretty outspoken about the fact that she doesn’t support Trump’s political positions. In 2016, Kloss posted a photo saying she voted for Hilary Clinton. We’re happy that Kushner is standing for what he believes in, even if it goes against the beliefs of his extended family.